Gaming fans are being promised “more video gaming mayhem than they’ve ever seen before” at a huge show being staged in Scotland. PLAY Expo Glasgow is being held at intu Braehead, on Saturday and Sunday June 8 and 9 and it’s almost twice the size as before. So it’s game on as the country’s biggest and longest running gaming event returns for another year. 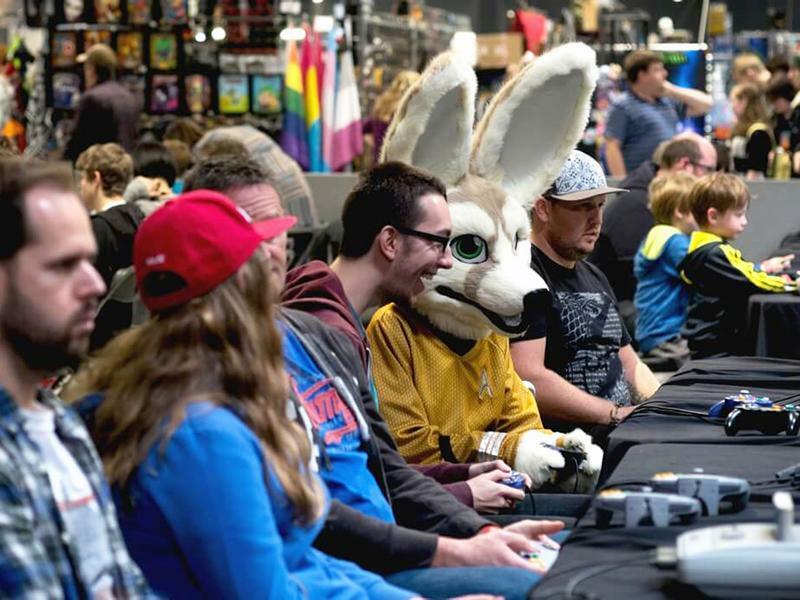 As well as filling the giant Arena at intu Braehead with everything enthusiasts love about gaming and popular culture, the event this year also takes over the site of the adjacent curling rink at the retail and leisure destination. The increase in floorspace for PLAY Expo Glasgow means there are even more games and events for fans to enjoy. The show has something for everyone including retro consoles and computers, classic arcade and pinball machines, indie and modern games for PC and console. There will also be gaming tournaments, LAN gaming and Cosplay contests, board games, Minecraft, Fortnite, merchandise stalls and much more. And best of all, once you have bought your entry ticket, all the games are free to play. For the first time, this year’s show features live entertainment with Australian comedian, John Robertson hosting his hilarious game show The Dark Room, which sees members of the audience being trapped inside an imaginary retro video game. While we take every opportunity to ensure the details for PLAY Expo Glasgow are accurate, we always advise that you contact the event organiser before setting out for the event to avoid disapointment. See TTF plus some of Europe’s biggest acts all under one roof at intu Braehead Arena on Saturday 10th August as they celebrate 25 years of Dominator! One of the giants of British heavy metal, Saxon, have just confirmed their 40th Anniversary Tour playing their largest Scottish show to date at Braehead Arena on Friday 18th October!